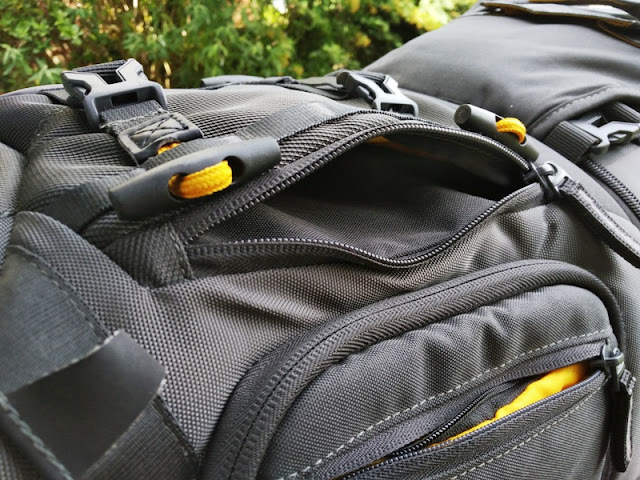 As a photographer who flies a drone, you want to be able to fit everything in a backpack without having to lug around multiple bags around! 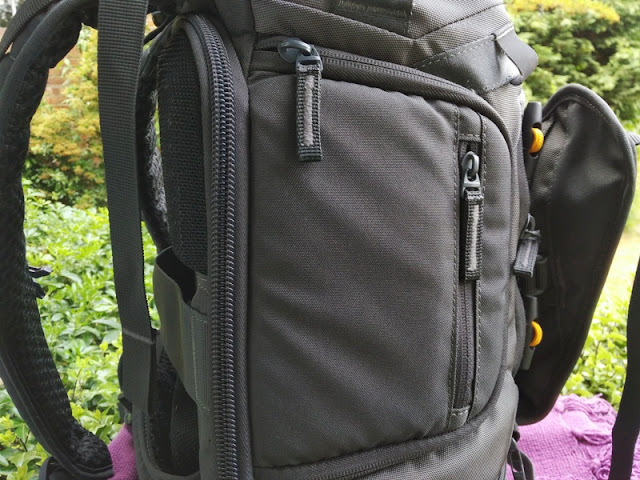 The Vanguard alta Sky 45D backpack not only can fit a drone and a DSLR camera with accessories, it features a ton of zipper compartments, as well as quick access compartments and space for storing a stand for supporting a camera. 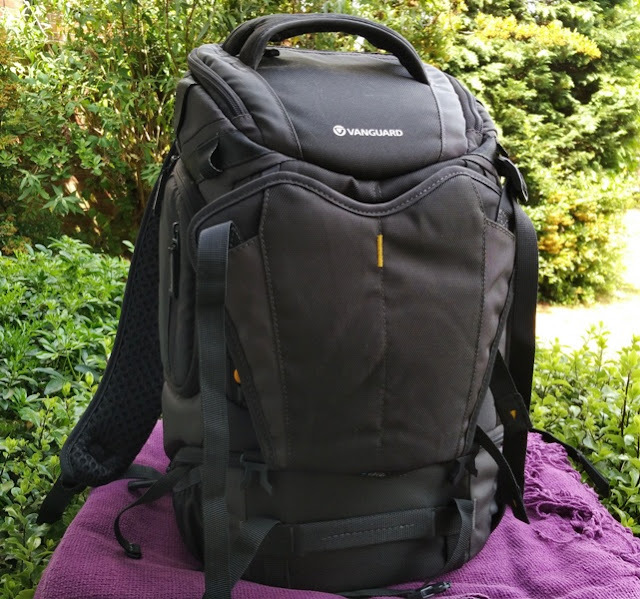 The top section of the Vanguard Alta Sky 45D backpack alone contains one large double zip compartment and two small zip pockets. 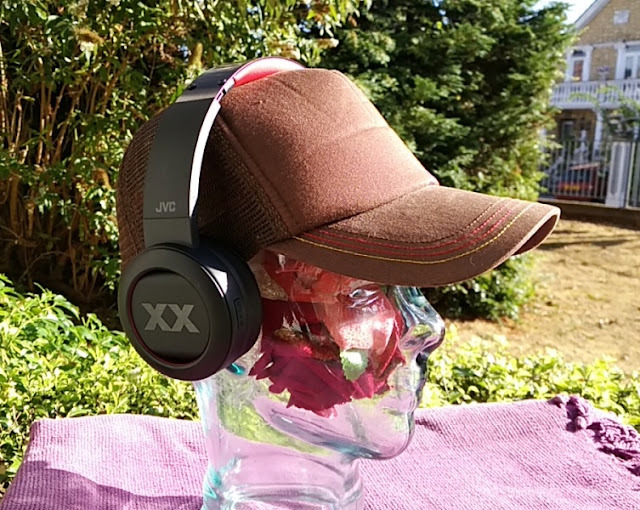 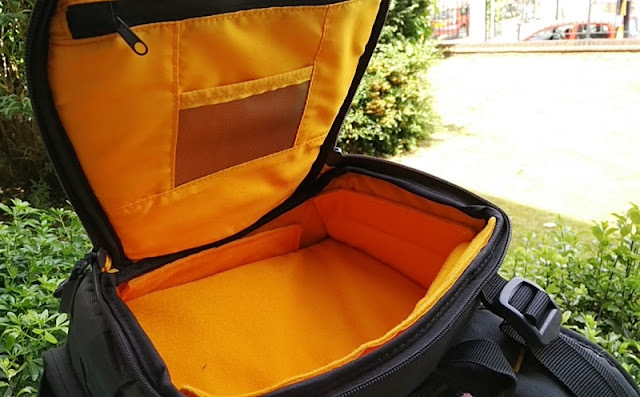 One small zip pocket is located within the large double zip compartment which is big enough for a pair of over the ear headphones. 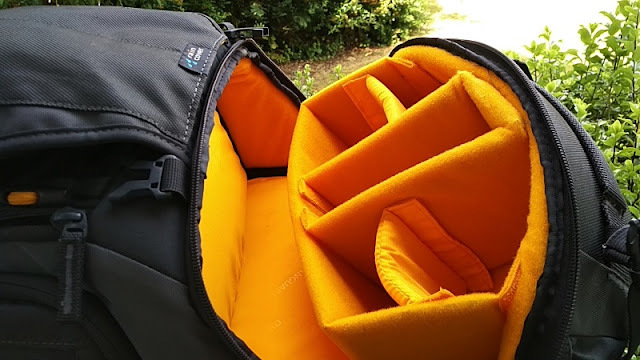 This double zip compartment on the top section contains a velcro divider that can be removed to make the main inner compartment roomier. 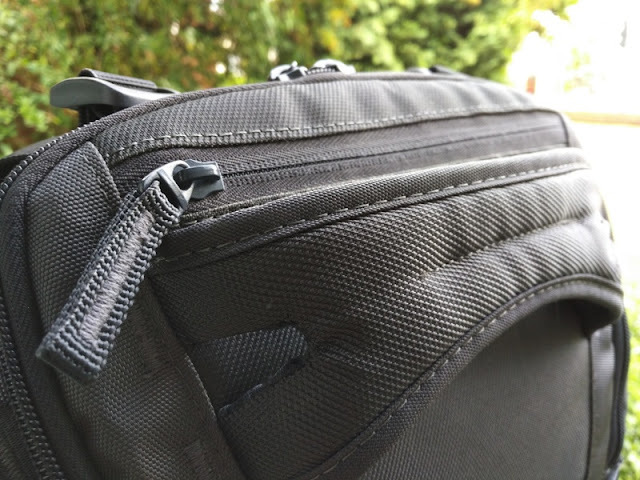 The other small zip pocket is a exterior zipper pocket on the top section, behind the top handle grip, which is big enough to fit small items like a wallet. 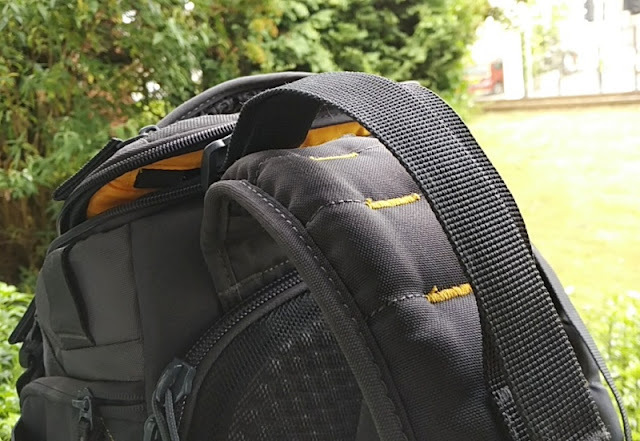 The left side of the Vanguard Alta Sky 45D backpack features a rounded zipper flap that zips open for quick access to the main camera compartment. 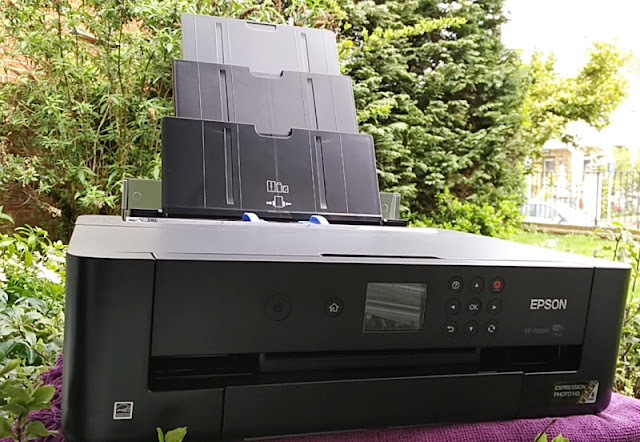 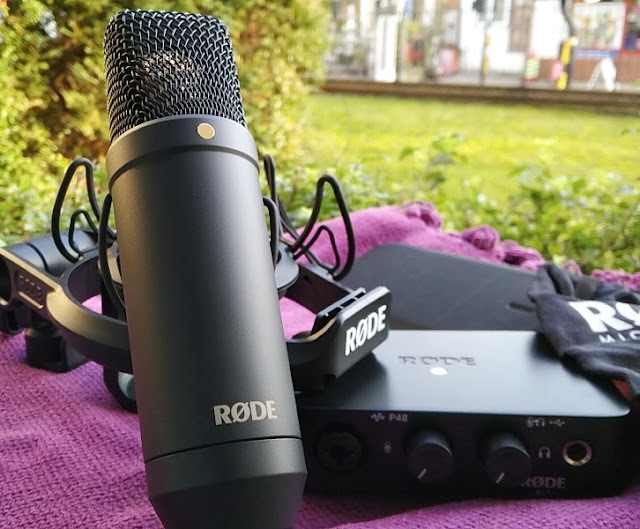 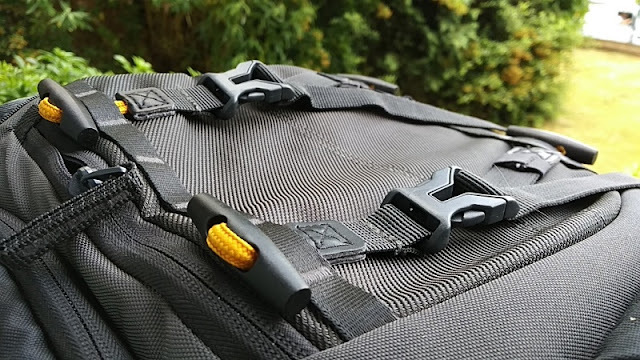 The side quick-access zipper flap itself is a small compartment that contains two velcro-strapped holders for storing memory cards, as well as a small zipper pocket big enough for storing an external memory drive. 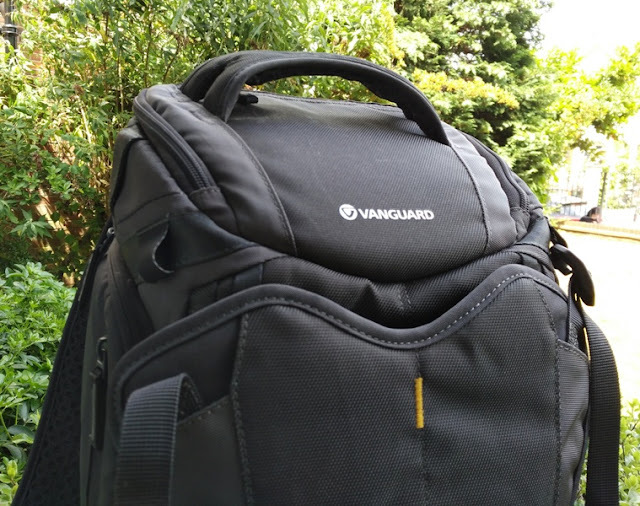 The right side of the Vanguard Alta Sky 45D backpack features a zipper side pocket with an inside pocket and an exterior side pocket for storing a water bottle. 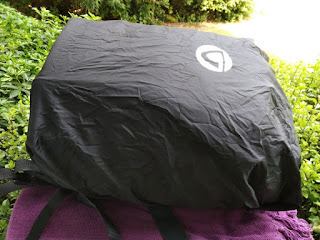 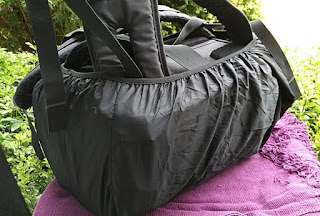 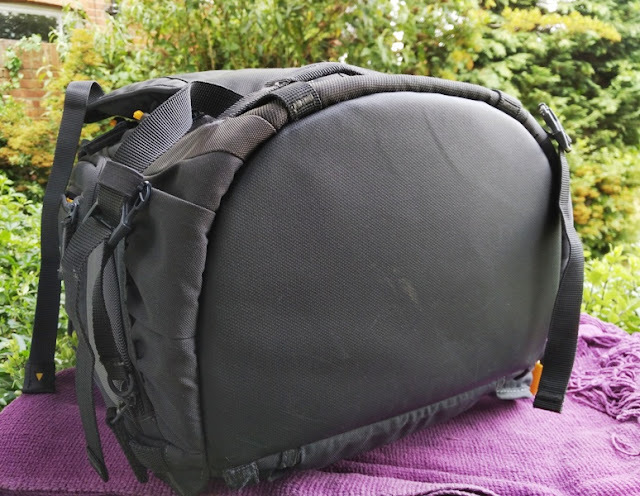 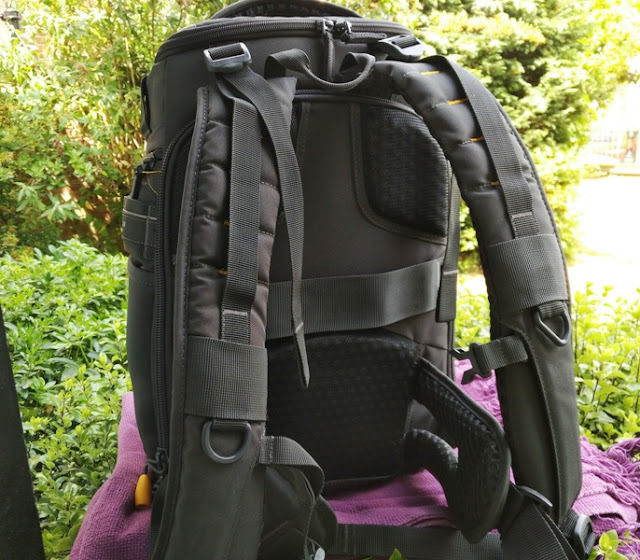 The front side of the Vanguard Alta Sky 45D backpack is the rain cover pocket that folds down via to detachable front straps to reveal the drone/tripod compartment. 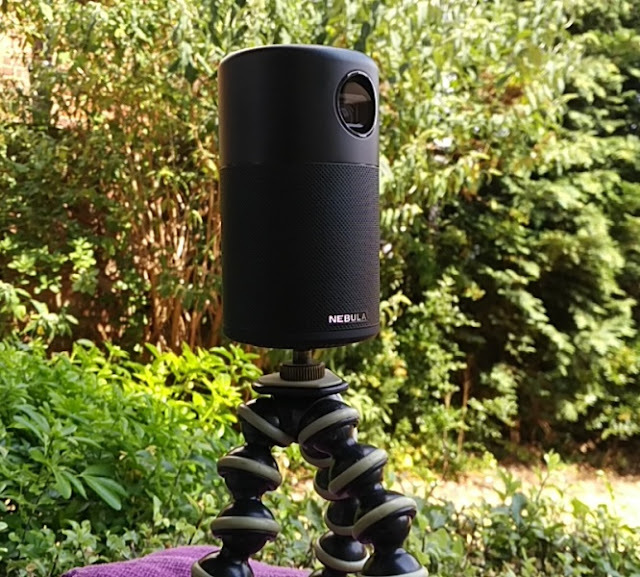 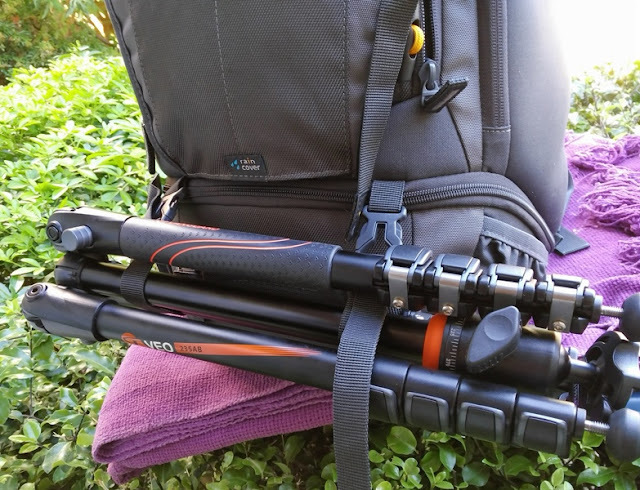 The drone/tripod area can fit a drone, monopod, tripod (one or the other). 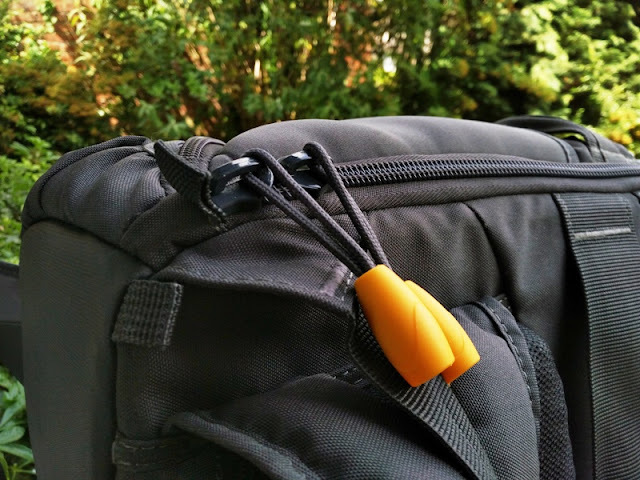 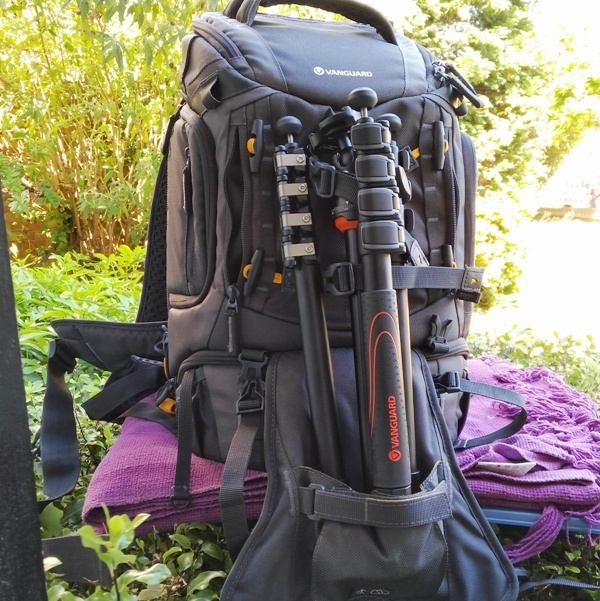 When fitting a tripod, the tripod fits inside the lower pocket of the rain pocket secured in place via the velcro strap and the two buckle straps that secure the stem of the tripod. 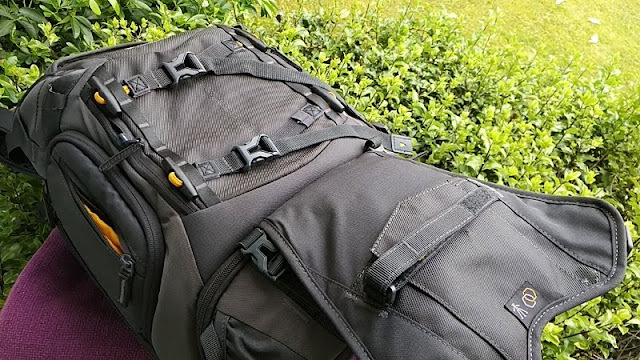 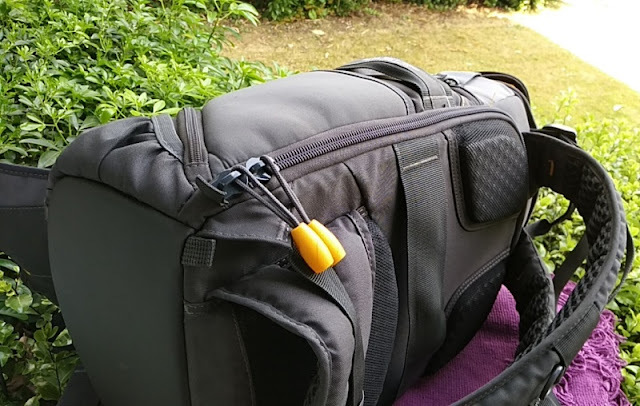 When not carrying a tripod, the Alta Sky 45D drone/tripod compartment can secure a medium to large size quadcopter drone secured by built-in strap clips. 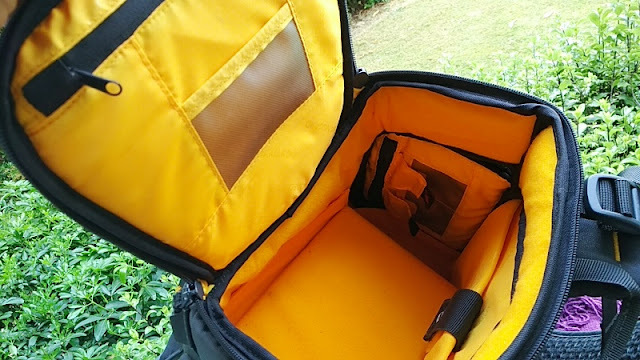 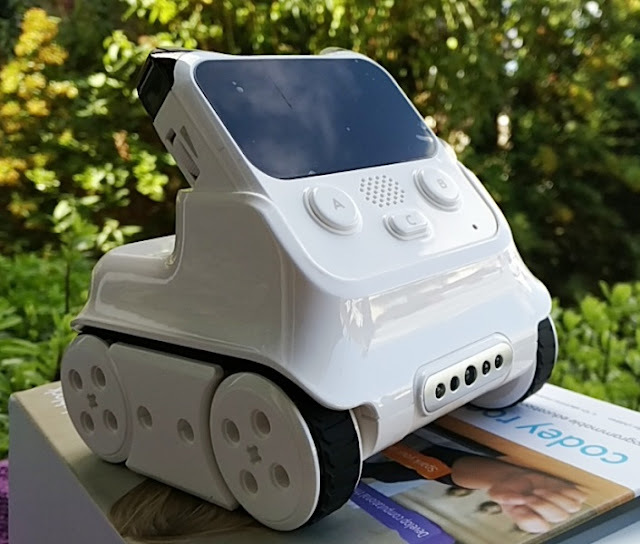 Beneath the drone compartment, there is small compartment that is accessed via a side zipper that lets you store small items. 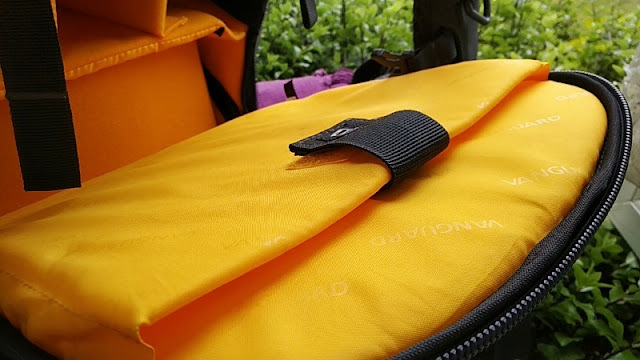 The robust hip belt built-in to the Vanguard Alta Sky 45D goes around your waist and it's designed to lift most of the backpacks content weight off your shoulders and onto your hips so your legs to do the heavy carrying. 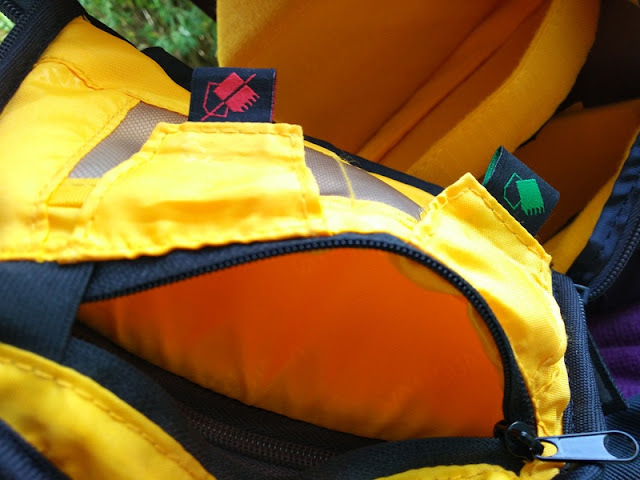 There is also a sternum (chest) strap that prevents the shoulder straps from sliding off. 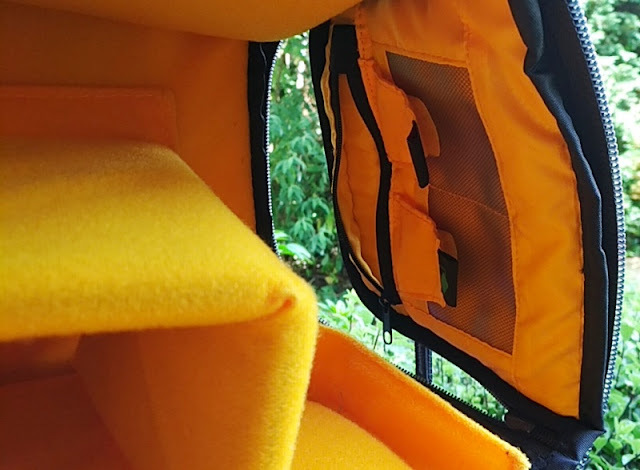 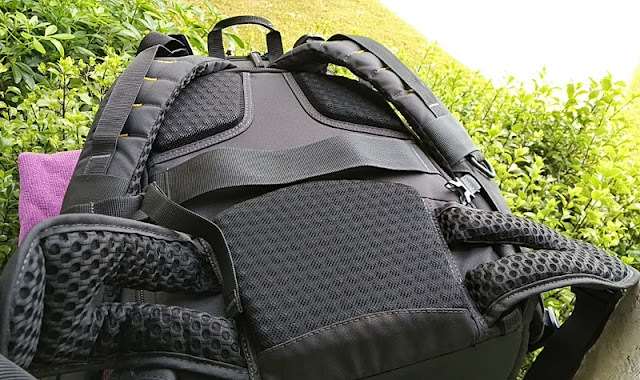 The thick padding on the back of the backpack covers the shoulder plates of your back and lower back. 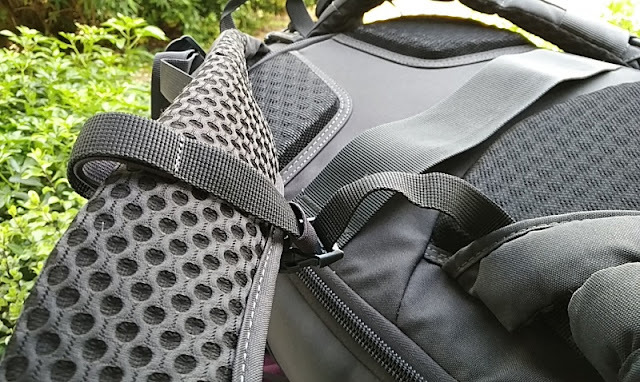 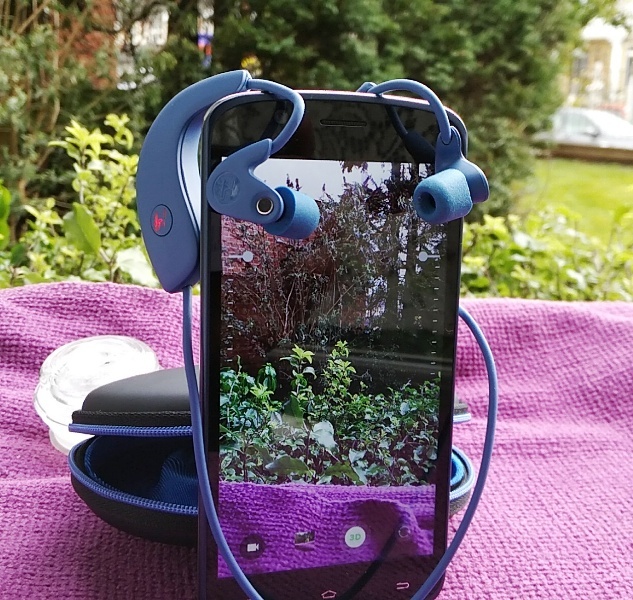 It's nice that the padding is spaced out to provide ventilation so your back won't get as sweaty. 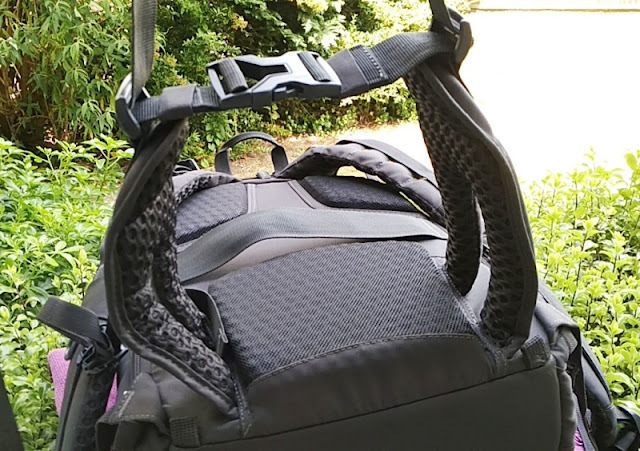 The thick breathable shoulder straps on the Alta Sky 45D feature upper adjustments in the form of vertical stabilizer straps (a.k.a load lifters or load adjuster straps) which prevent the backpack from bouncing on your back and help balance the load. 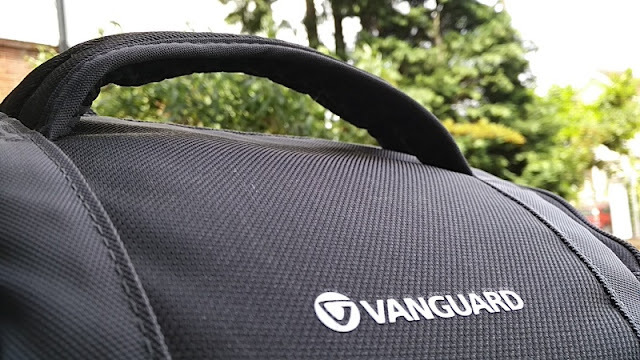 The main compartment in the Vanguard Alta Sky 45D is the camera/laptop compartment which can fit two DSLR kits with multiple lenses, as well as a 13.3-inch laptop. 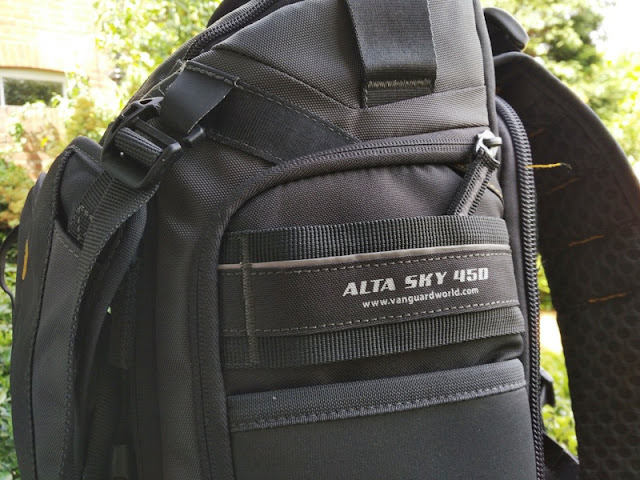 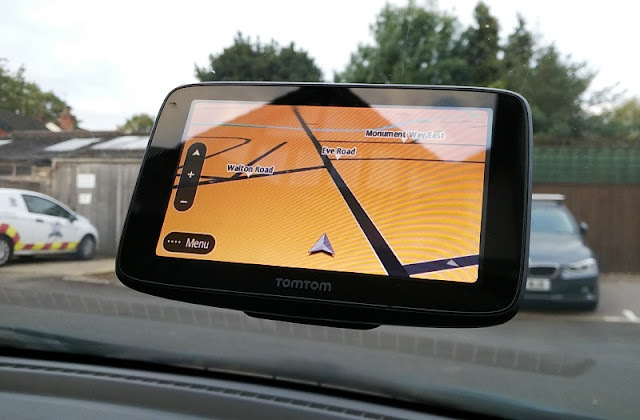 The Alta Sky 45D main compartment has a secure design with rear-facing access, which is great as nobody will be able to gain access while the backpack is on you. 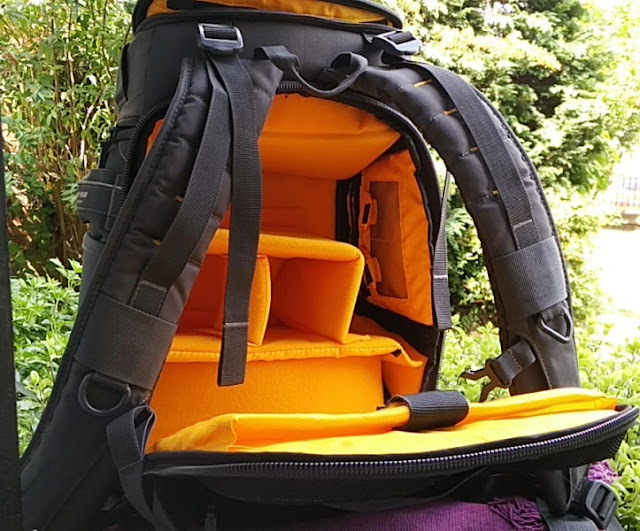 The Vanguard Alta Sky 45D drone DSLR backpack has another compartment up its sleeve on the base of the backpack, which integrates velcro dividers that you can reconfigure to fit your camera gear accessories.